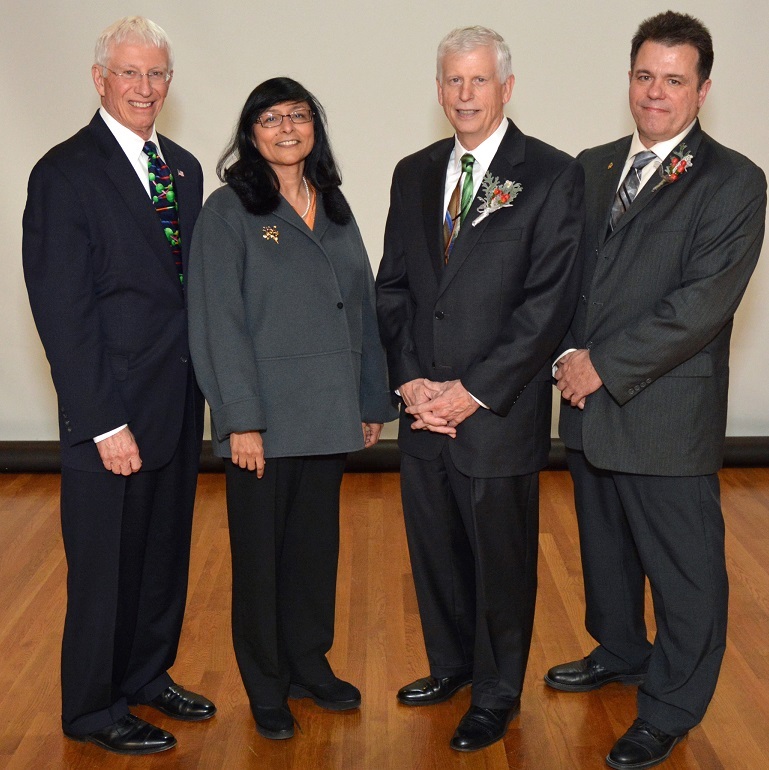 At the award ceremony in Washington, DC, from left to right, Forest Service SRS Station Director Rob Doudrick, Director of Sustainable Forest Management Research Toral Patel-Weynand, Chief Thomas Tidwell, and Project Leader Jim Vose. Vose and fellow team members Charles Luce (Forest Service Rocky Mountain Research Station), Toral Patel-Weynand (Forest Service Washington Office), and James Clark (Duke University), developed a national assessment of the impacts of drought on the nation’s forests and rangelands that provides the foundation for developing science-based options that managers can use to increase the resiliency of U.S. forests and grasslands. Findings are synthesized in the general technical report (GTR) published by the Forest Service, Effects of Drought on Forests and Rangelands in the United States: A Comprehensive Science Synthesis, and were featured in special issues of the scientific journals Global Change Biology and Forest Ecology and Management. The assessment and synthesis also provided critical information in support of the reauthorization of for the National Integrated Drought Information System and addressed the National Climate Assessment need for scientific information on drought. Read more about the drought assessment. « Older Previous post: How Much Will Future Wildfires Cost the Federal Government? Newer » Next post: After the Fire, What Happens to Water Yield?